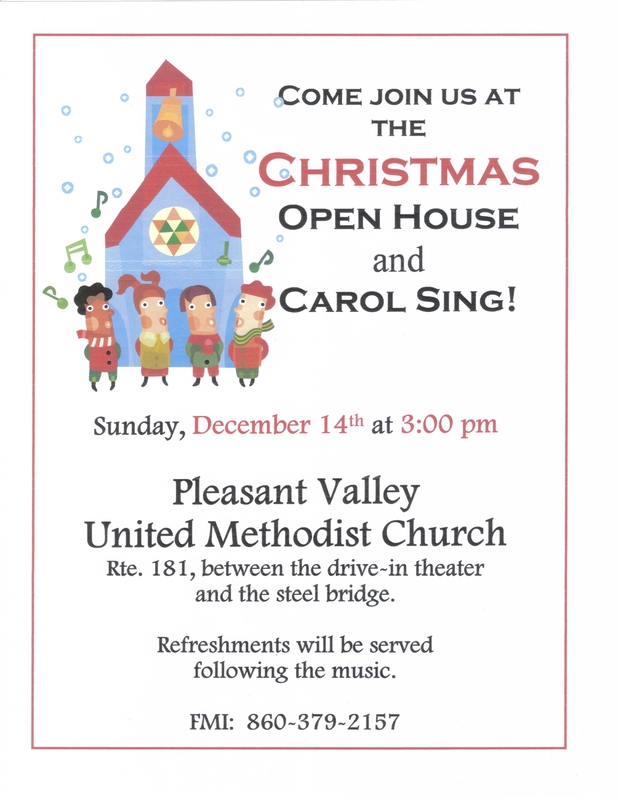 Come join us at Pleasant Valley United Methodist Church on Sunday, December 14th at 3:00 pm, as we once again share in the joyous songs of the season! We’ll have some special guests to get us in the spirit and opportunities to raise our voices in song. Following the music there will be refreshments in our Fellowship Hall. This FREE event is open to the public so come spend some time making a joyful noise! !